Petswelcome.com / Articles / Is Your Dog a Republican? 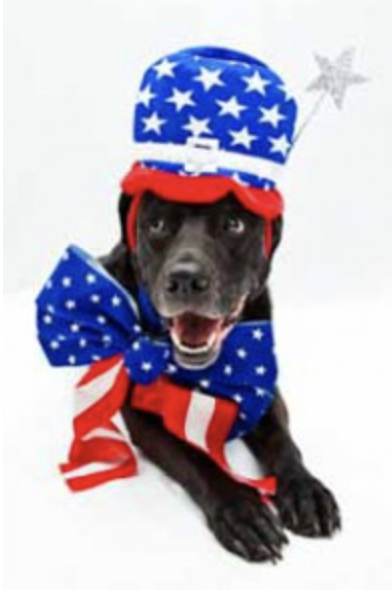 Petswelcome is celebrating Election Day 2018 in this issue of Your Weekly Bone by focusing on politics and pets. 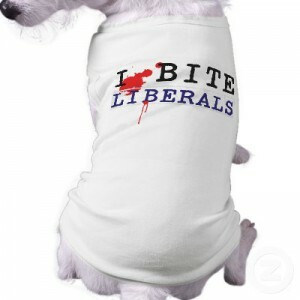 Is Your Dog a Republican? is an update from an earlier article. I think my dog is a Republican. I’m a Democrat so it’s a little disheartening to suspect he’s playing for the other team. Of course, I could be imagining it but I don’t think so. It’s the way he rolls his eyes when I’m reading The New York Times or watching Full Frontal with Samantha Bee. On the other hand, he has a better stock portfolio than me which irks me to no end. Despite our opposite leanings, though, he keeps his dissatisfaction with me muted. He knows who keeps his biscuit box topped-off so he’s not about to split our ticket, if you know what I mean. Now, I know my suspicions are based on cliches about what each party stands for, ones that we’ve been told over and over again and which don’t necessarily have any basis in reality. And that’s a problem. Like my fear that he has more Fox in him than I do. Of course, I’m referring to the channel, not the animal. I’ve seen him sneaking in some Sean Hannity when he should be outside protecting our house from rabid squirrels, or whatever it is his breed is supposed to do. It’s what initially raised my eyebrows with regard to his political bent. Not that I believe that Fox represents all Republicans—just like I don’t think MoveOn.org represents all Democrats. It’s just that it’s all gotten so left/right extreme these days that it’s hard to imagine we’ll ever agree on anything. But it doesn’t have to be that way. Sometimes I fantasize—and in my better moments, almost believe— that we’re all more centrist than we let on and that most Democrats and Republicans are fair-minded people with well-intentioned differences. I even think that if we all tried our hardest to fetch our true Inner Patriot, the same dog would come running to us all. In this scenario, we actually have something in common, a shared pool of beliefs and behavior, of likes and dislikes that we can use to bridge our disagreements and maybe even learn from each other. There is no better illustration of this than my relationship with my dog. For example, when people walk into our house, he immediately runs up to them and sticks his nose into their nether regions. Now, I don’t do that. Have never done that. Well, maybe once on a job interview. However, I can still learn from him and bridge the gap by trying to understand why he does it. He does it, not because he’s a Republican but because he’s a dog. Breakthrough! It’s the way they get to know a person quickly and to get a better measure of the man or woman, no matter their party affiliation. Now I’m not suggesting that Democrats and Republicans should cross the aisle and start sniffing each others’ crotches. 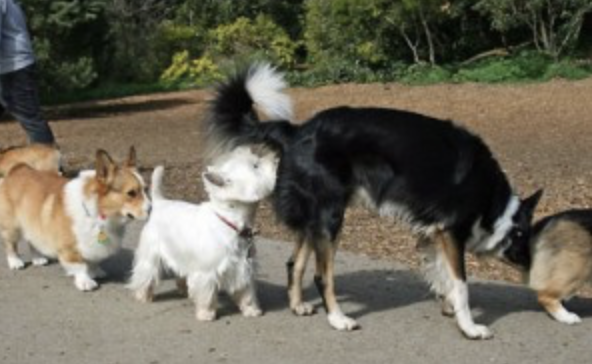 But I’m willing to learn from my Republican dog and suggest that maybe, between humans, a firm handshake or an honest look in the eye would accomplish much the same thing and go a long way in getting us to know each other start and solving our differences. And while it probably wouldn’t be as bracing as sticking your head up a skirt, I’m willing to try it. The notion that I’m a Democrat and understand my dog—who is a dog and a Republican—better than Mitch McConnell understands Chuck Schumer (and vice versa) is troubling. If my dog and I can bridge millions of years of DNA mutations, as well as broad societal and political differences—not to mention our disagreement regarding Alpo Chop House (he likes the Savory Sauce while I’m all over the Gourmet Gravy)— then surely the politicians in Washington can do the same. Now what’s this got to do with pet travel? you may be asking yourself. Well, nothing. And everything. If we want our politicians to get along, then we as a people need to get along. It’s easy to blame them but we need to set an example. And what’s the best way to this? By taking your pet with you when you visit different parts of the country–no matter whether your destination is “red” or “blue.” Ever notice that neither color exists under your dog’s feet? To the contrary, he probably gets you talking to people you otherwise probably wouldn’t. It makes no difference what your political positions are. You are just dog lovers. Human beings. You talk and you laugh. You take joy in what you have in common, rather than in your differences. Voila! Now that’s a grassroots revolution worth joining.